Scaffold netting is made of high density polyethylene. It is widely used in industry, agriculture, construction and other fields. 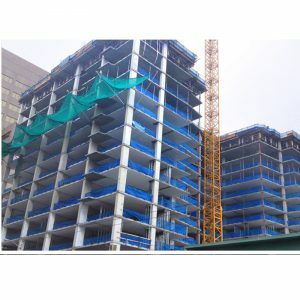 In construction sites, it is commonly used to cover the scaffold structure. It is designed to protect workers and pedestrians walking near the base of the scaffold structure. It can protect the workers from wind, rain and snow, which provides the worker good construction environment. In agriculture, it is often used in the gardens and greenhouses. There are different kinds of scaffold netting, such as debris netting, safety netting, construction safety netting. Debris netting is used to prevent workers and building materials from falling down, or avoid possible harm to the workers and pedestrians passing by. This netting is generally made of polyethylene or high density polyethylene. Safety netting is made of high tenacity polypropylene or nylon. It is widely used in railing, sports fields and construction sites. Vertical debris netting is a kind of construction safety netting. 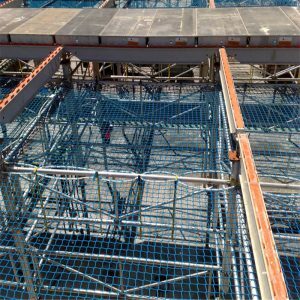 It is the most popular debris netting for building sites and scaffolding structures. This netting is made of knitted polyethylene threads and has a reinforced border. Horizontal debris netting is a kind of construction safety netting installed horizontally. It is made from nylon or high density polyethylene, which provides higher strength. It is widely used in the construction sites to prevent the building materials falling down from higher places to hurt the worker in the lower places and the pedestrians passing by. It can also prevent the workers falling down to the ground. Fire retardant debris netting is an extruded plastic mesh barrier used as temporary safety fence. It is made of high density polyethylene with UV stabilized. The most popular color is orange. Safety barrier fence is an extruded plastic mesh barrier used as temporary safety fence. It is made of high density polyethylene with UV stabilized. 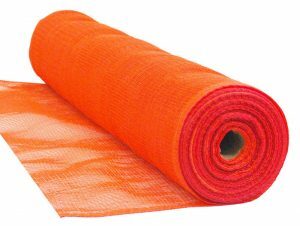 The most popular color is orange.